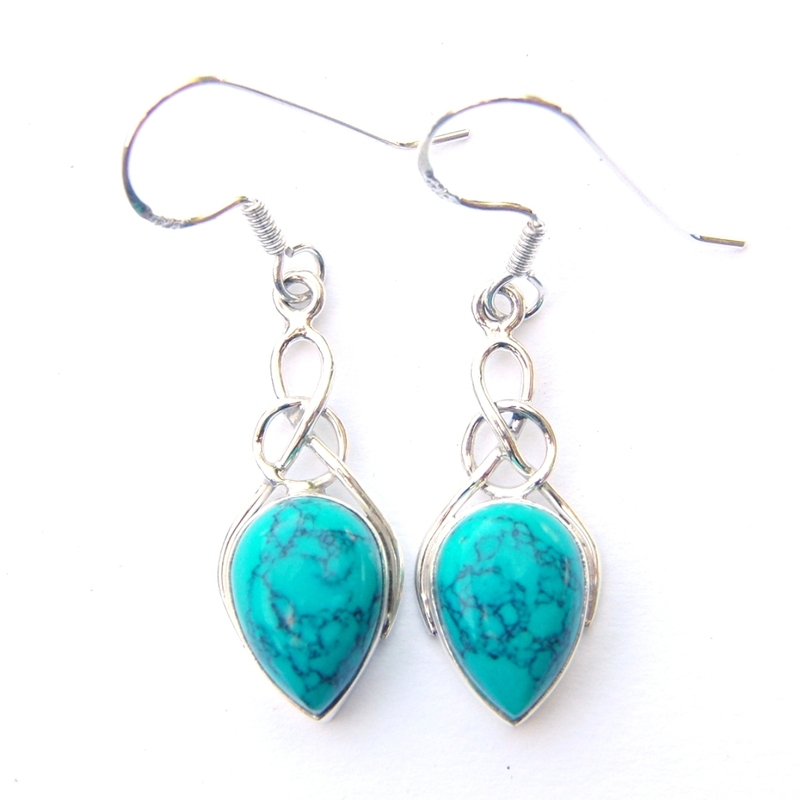 Hand Made Turquoise Teardrop Knot Earrings. These Silver Turquoise Teardrop Knot Earrings are one of our New Designs & have Lovely Silver work forming a Celtic Knot at the top which opens out to surround Pretty 10mm x 14mm Inverted Teardrop Cabs. Approx length 2 ¾ cm excl the hooks. This website is strictly for approved Wholesale customers only, if you are looking to purchase these Turquoise Teardrop Knot Earrings from a retail store, please visit Shooting Star.